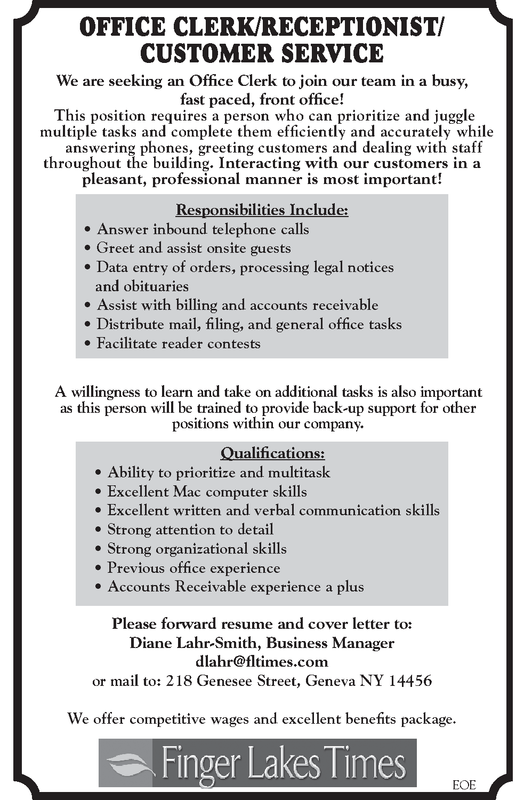 We are seeking an Office Clerk to join our team in a busy, fast paced, front office! This position requires a person who can prioritize and juggle multiple tasks and complete them efficiently and accurately while answering phones, greeting customers and dealing with staff throughout the building. Interacting with our customers in a pleasant, professional manner is most important! A willingness to learn and take on additional tasks is also important as this person will be trained to provide back-up support for other positions within our company. We offer competitive wages and excellent benefits package.